Launch verhicle Vega helps to make space better accessible for smaller satellites from Europe. Airbus Defence and Space Netherlands develops the interstage 1/2 of the launcher, including a separation mechanism. Vega is Europe’s cost-effective launcher vehicle for satellites in the range of 300 to 2,500 kg, for scientific and earth observation missions into low Earth orbits. It named after the second brightest star in the northern hemisphere. Vega helps to make space better accessible for smaller satellites from Europe. The launcher is 30 meters high with a diameter of 3 meter. Vega is a single-body launcher with three solid-propellant stages that is able to bring several payloads at the same time into space. 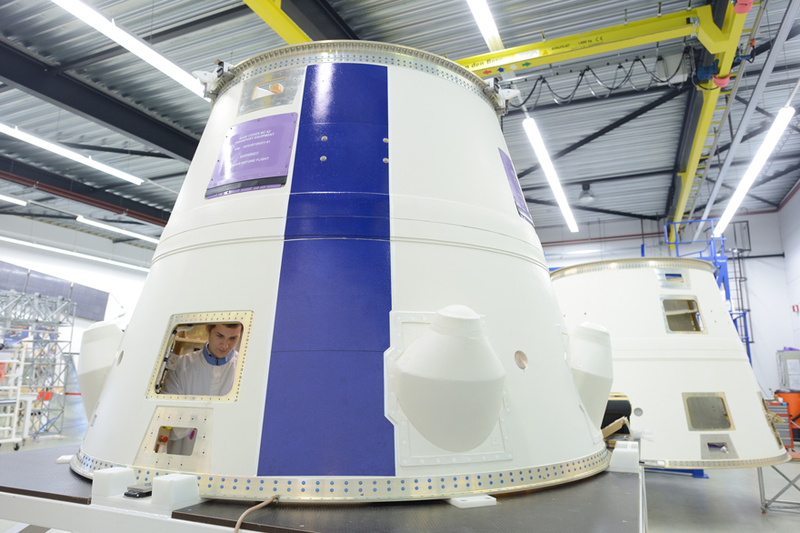 Airbus Defence and Space Netherlands is responsible for the design and building of the Vega Interstage 1/2. This conical shaped structural part is made ​​of aluminum and is 2 mm thick. Part of the Interstage, which connects the first and second stage of the launcher, is a separation mechanism; a ring with an explosive cord (pyro cord) that will enable the first stage to be thrown off the Vega rocket, after its-117 seconds burn.